Rowallan Park is in Mackay. 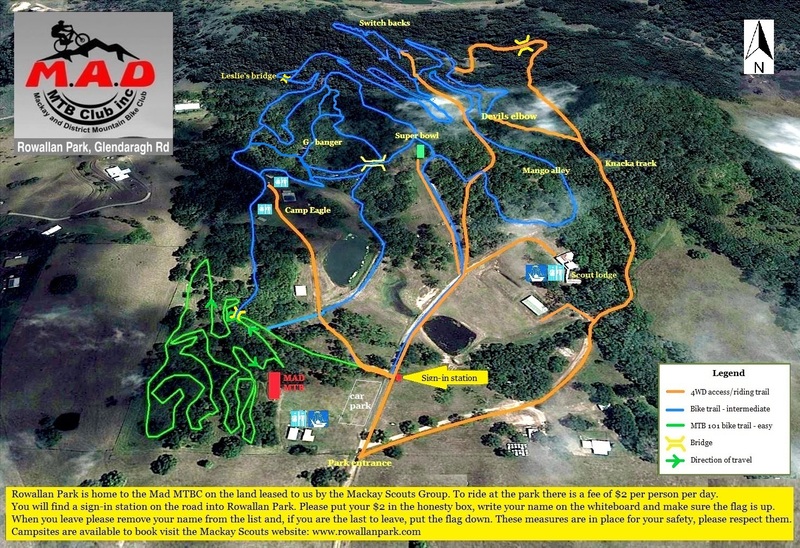 It is the home of the Mackay And District Mountain Bike Club (MAD MTBC). MAD and the WMTBC are closely aligned and work together to promote mountain biking; if you are visiting make sure you check out neighbouring trails and head along to support events so we can continue to offer more and more!! Rowallan Park is restricted to MAD, WMTBC or MTBA members only. Join the club; ride the trails! Rowallan Park has 10km of expertly designed single-track. 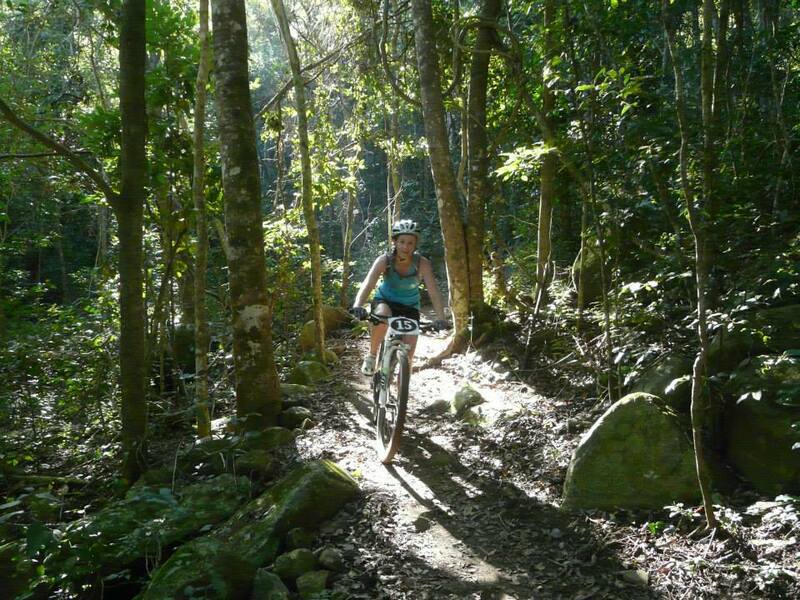 The trails aim to cater for everyone from the novice to experienced. They have plenty of up and downhill sections, jumps, bumps, switchbacks, rock-gardens, sweeping berms, tricky trees to ride around and through, as well as a-line and b-line options to keep you on your toes. To ride at the park on your own time there is a fee of $2 per person per day. You will find a sign-in station on the road into Rowallan Park. Please put your $2 in the honesty box, write your name on the whiteboard and make sure the flag is up. When you leave please remove your name from the list and, if you are the last to leave, put the flag down. These measures are in place for your safety, please respect them. It is also possible to camp overnight at the park at a cost of $6 per person per night. Please check the Rowallan Park website for availability and to make a booking. Before you leave home check the park alerts for the latest information on access, closures and conditions.